Are you a Facebook addict? Do you spend your maximum time by simply browsing Facebook? Do you want to incorporate some new tips and tricks to keep your friends in complete awe? Well, if your answers to these questions are yes, then you should definitely glance through the following tips and tricks for Facebook. 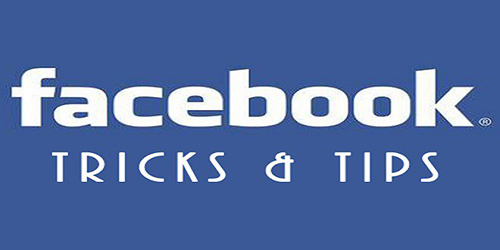 These are the current and updated version of 25 Best Facebook Tricks and Tips For 2013 and they actually work wonders. Yes! You’ve read right and this isn’t really a joke. You can definitely update a blank Facebook status easily, without taking any help from apps. All you need to do is paste @[3:3 ] in your status box. As soon as you paste this in your status box and finally enter it, you will find a blank status. Try this trick to amuse your friends and keep them in complete awe. Pasting @[2:2 ] will also generate the same results. Do you find the advertisements offered by Facebook irritating? Do you hate it when an advertisement pops up in the middle of your Facebook page? Well, there is a solution to all your problems. If you are a Mozilla Firefox user you can easily hide these advertisements with the Grasemonkey script. All you have to do is use the Grasemonkey Script in Firefox called “Facebook:Cleaner”. This Facebook cleaner will effectively hide all your Facebook advertisements, which wouldn’t perturb you henceforth. Yes! With a little knowledge about some tech savvy apps you can easily watch live streaming TV on Facebook. Enter the name of this app (TVDREAM-APP) on your Facebook search box without the brackets. As soon as you enter this app, you will find it in the search results. Authorize your permission to thoroughly enjoy live streaming TV on Facebook. Well, this is a new trick incorporated by Facebook itself, in the year 2013. Now, if you want only “some” of your friends to see you online, just click on the advanced chat settings on Facebook. You can get hold of this setting by clicking on the gear option on Facebook. In the advanced chat settings you will find an option stating “turn on chat for only some friends”. Click on that option and enter the names of your friends to whom you want to appear online for. Save your option accordingly to enjoy the best from Facebook. This is one of the Best Facebook Tricks and Tips. If you have a certain friend (or friends) who constantly spam your feeds with innumerable number of notifications, you can easily hide those notifications for cleaner and better experience. All you have to do is deactivate the vexatious app. Again, Facebook has recently added a feature by which you can easily unfollow a notification by simply clicking the small round stuff on the right side of your notification list. This is indeed, a far better option than just blocking or discontinuing friendship with your friend. Are you a Microsoft outlook user? Do you want to sync your Facebook photos with your Microsoft Outlook friends? Well you needn’t worry on that regard, because a certain app called ‘Outsync’ designed by windows offers you with the advantage of syncing your Facebook photos with your outlook friends. Use it, in order to enjoy the best from Facebook. Very often when you upload pictures on Facebook, you may actually find them small and blurry. In order to improve the resolution of your picture, click on the-“High Quality” option. With this option, your photos are likely to be better and clearer. Yes! This year Facebook also allows you to download your entire Facebook data from the day you joined this social networking website. You can download anything and everything that you ever updated on Facebook. Just log in to your Facebook account and click account settings. As soon as you view the page, you will find an option as “Download a copy of your Facebook data”, click it to start your download. Tired of saying the same thing or repeating the same instructions to multiple people? Well, the new Facebook has a solution for everything. With the new messaging feature you can simply type a message and select the “Actions” tab at the top of the Facebook page to eventually forward the message your Facebook friends. The new app page for twitter on Facebook helps you enjoy Twitter and Facebook simultaneously. With this new and innovative app all your tweets will now appear as your Facebook statues. So, enjoy the app and Happy ”Tweaking”! Yes! The new Facebook Photo Downloader application allows you to download an entire album at a single go. All you have to do is download this app called “Facepad”. This app allows you to download single albums, group albums, alums of events and so on. This is also one of the Best Facebook Tricks and Tips. If you are a chrome user then this chrome extension will totally work wonders for you. With the Facebook Photo zoom extension, you can easily enlarge a photo by simply moving your mouse over the photo thumbnail. You can even adjust the zoom of your photo by forward and backward movement of your mouse. You can easily create a photo collage of your Facebook friends by simply clicking on the “friends” tab. Choose the options accordingly, and you can even choose the dashes “_” in this regard. Lo Behold! Your Facebook friends collage is right before your computer screen. If you are a Mozilla Firefox user, you can easily choose the Facebook sidebar, by checking the bookmark options for Mozilla. With this feature, a sidebar will appear on your Mozilla homepage allowing you to chat from there itself. You will find like buttons anywhere and everywhere inside and outside Facebook. But have you ever thought of incorporating the dislike option to your Facebook status? You jolly well can, with the new Facebook app called Status Magic. Search this app and agree to its terms and conditions to add the dislike button to your Facebook statuses. Yes! You’ve read right, you can now send free sms from Facebook. Just log in to your Facebook page and search the chat sms app. Agree to the terms and conditions of this app to send free texts to your friend. However, you can only send four, 100 character long text messages per day. Yes you can create innovative smileys on Facebook all by yourself by simply adding some unique chat codes. There are various pages on Facebook which allows you to do so. Simply log on to those pages and paste those chat codes on your Facebook chat to keep your friends in awe. If you forget stuff like birthdays and events then you can easily transport your Facebook calendar to your PC. All you have to do is click on the “export” option under the options for transporting events and birthdays. And soon, you will find your desktop calendar synced with the Facebook one. There is a “places” option on Facebook which allows you to add photos to all the places you’ve visited across the world. This is an intriguing feature and it might appear to be all the more interesting to you if you are an iPhone or Android user. If you are a chrome user then, the Facebook chat notification plug is sure to help you in all respects. This plug in provides a pop-up window on your desktop just as somebody pings you on Facebook. Hence, you can now easily receive your chats even when you’re not logged on to Facebook. With the new feature on Facebook, you can easily reposition your timeline photos. Whenever you upload a timeline photo on Facebook, you have an option to edit and shift the photo according to your preference. You can also do the same with your display picture thumbnails. With a new app called “Sendible” on Facebook, you can easily select and keep messages which you want to send a specific friend, later. With this app you can also schedule status updates and eventually update them later. Press Up, Up and then Down, Down followed by Left, Right, Left, Right and B, A, without commas. Finally press the enter key followed by the up and down key to see some interesting Magic circles on your page. Reload the page to get rid of these circles. The Facebook Gadget for Gmail allows you to update Facebook statuses from Gmail itself. It is an intriguing and purposeful app. This is also Best Facebook Tricks and Tips. In this year Facebook has updated its search engine to offer you the best. So, while searching an individual mention his marital status or college name after entering the “:” sign after his name (without commas). 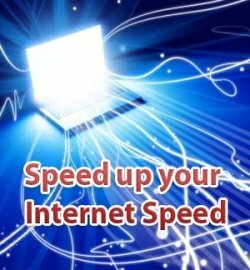 This will narrow your search and offer you with satisfactory results. So this is our collection of 25 Best Facebook Tricks and Tips For 2013, Please share your Best Facebook Tricks and Tips with our readers.